The Boston City Council gave itself pay raise with a 9-4 vote in the eleventh hour. At the end of Wednesday’s city council meeting, Councilor Michael Flaherty pulled Mayor Walsh’s proposal to raise the councilor’s salary from $87,500 to $99,500 out of the Committee on Government Operations (of which Flaherty is the committee chair). The move, which was requested by Councilor Matt O’Malley, gave the council the chance to debate and make changes to the proposal before voting on it. Despite this opportunity, O’Malley was the only councilor to speak before the proposal was put to a vote. He said because the council is responsible for its own pay raise, it is a matter that needs to be addressed. O’Malley said he would vote to pass the pay raise with the understanding that he will introduce an amendment to change the pay raise process next week. The amendment would tie future councilor pay raises to changes in Boston’s median income. O’Malley said he initially planned to propose this amendment during Wednesday’s meeting before Flaherty’s move to put the pay raise to a vote, but he didn’t believe he would be successful in winning Mayor Walsh’s approval. After O’Malley spoke, the proposal was put to a vote. It passed 9-4 with Councilors Ayanna Pressley, Michelle Wu, Charles Yancey and Josh Zakim voting against it. If the council had not acted on the pay raise proposal during Wednesday’s meeting, it would have automatically become law on November 3 due to a provision in the city charter. This provision says that if the council does not act on a mayoral proposal within 60 days, the proposal becomes law. O’Malley said that he thought it was important to have a vote on the proposal rather than just allowing it to take effect without action. “I think its very important to be accountable to taxpayers with a vote like this,” O’Malley said. Today’s vote ends a saga that began in 2014 with the council proposing a raise to $107,500. This initial proposal passed on a 9-4 vote with O’Malley, Pressley, Wu and Zakim voting against. Mayor Walsh vetoed this raise on September 2, 2015, and responded by submitting a compromise raise. It was this compromise that was passed in Wednesday’s meeting. The last time city councilors received a pay raise was in 2006. After the meeting, the mayor’s office released a statement supporting the pay raise passage. “The mayor believes the compromise voted on today is fair and an appropriate step forward and will allow the city to return to the priorities facing the residents of Boston,” the statement said. The council passed an ordinance banning realistic toy guns in public places. The ordinance was first introduced by Mayor Walsh on August 31. The council adopted a resolution supporting Senate Bill 1837. 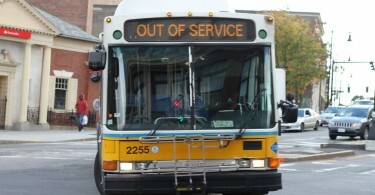 The bill would allow private Personal Rapid Transit providers to begin operating in Massachusetts. Passage of this bill would allow the Boston City Council to move forward on a solar powered monorail, operated by a private organization, linking North Station and South Station. The resolution was introduced by Councilor Stephen Murphy. Pressley and Councilor Tim McCarthy opened the meeting with a presentation recognizing Faces of Faith, a project organized by the Dana-Farber Cancer Institute that uses photography to honor cancer survivors. All councilors were in attendance.